Don’t miss Jewelry Edition Vol. 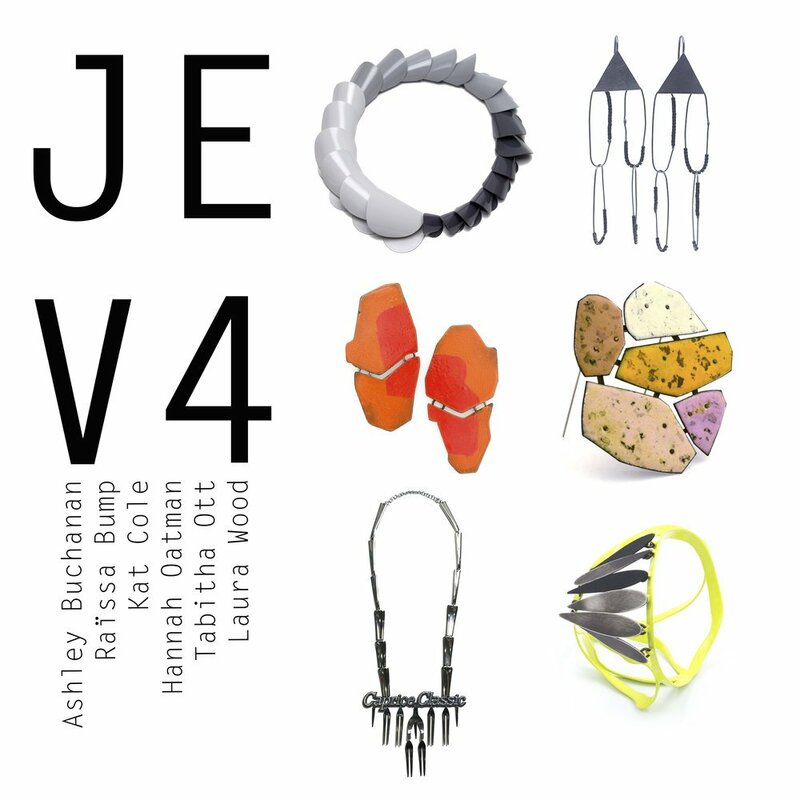 4, a one-month only, special pop-up sale showcasing the work of national emerging and established jewelry artists. Jewelry Edition Vol. 4 presents a shift from exclusively featuring emerging artists to exhibiting a more diverse range of makers at varying points of their careers. The Vol. 4 collection features 4 makers, Ashley Buchanan, Raïssa Bump, Hannah Oatman, and Tabitha Ott, who will exhibit with Kat Cole and Laura Wood. This year’s Jewelry Edition will feature a smaller but more focused series of work by each jewelry artist. Jewelry Edition will open on Friday, November 16, 5 – 8 PM, with CRAFTED to kick off the holiday season at Contemporary Craft! Jewelry Edition was started by jewelry artists Kat Cole and Laura Wood in 2012 as a new type of opportunity for early career artists to gain national exposure. Through their diverse network, the artists are able to offer many different exposure and sales opportunities to the jewelers selected for Jewelry Edition. Over the last three years Jewelry Edition has exhibited 18 artists and traveled their work to different locations including galleries, conferences, institutions, and public spaces. The artists featured have gone on to gain national representation and prosper in their individual careers.